The ****Hotel Speicher am Ziegelsee is located inside a former granary dating back to 1939. The edifice is situated next to a lake named Ziegelsee so guests can reach the hotel by boat. The sign HOTEL SPEICHER is actually the sign of the boat station. 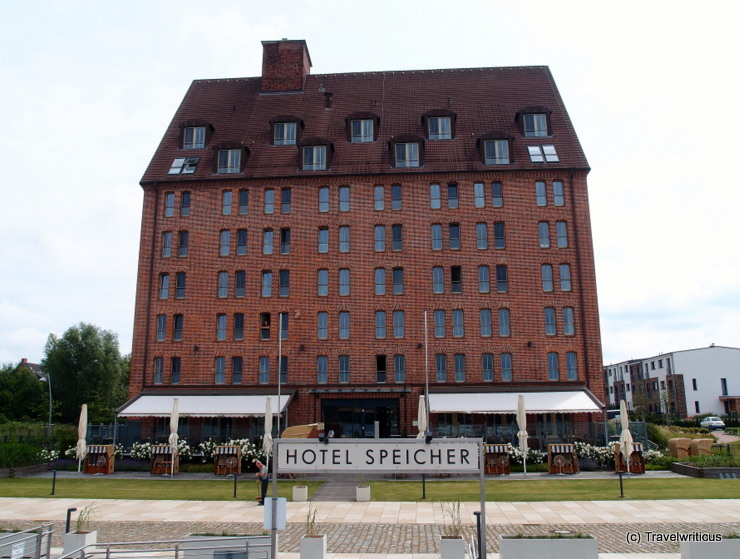 This entry was posted in Accommodations, Hotels and tagged Germany, Mecklenburg-Vorpommern, Schwerin by Travelwriticus. Bookmark the permalink.